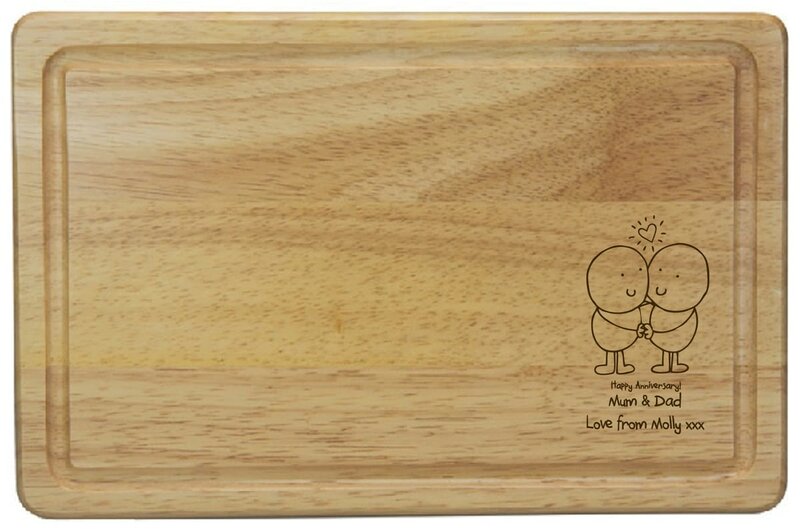 Whether you're a part of the couple or not, and its a 5th anniversary or not this high quality wooden board makes a quirky gift for a unique couple. Chilli and Bubbles are sharing an embrace at the bottom corner of your board and your message is written beneath them leaving plenty of room for chopping on the rest of the board. From crackers and cheese to cutting bread and veggies, this rectangular board is the perfect addition to a loving home.